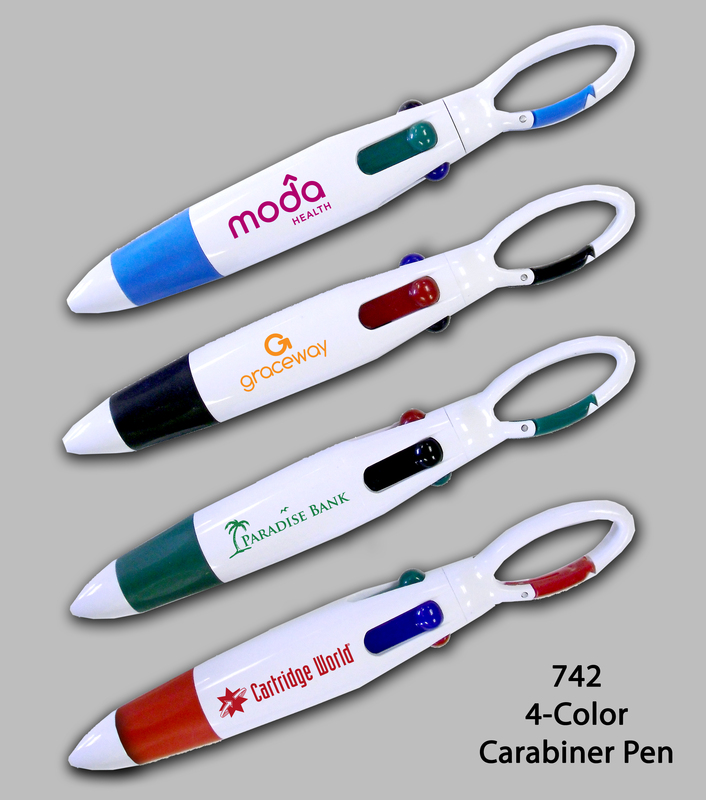 4-Color Carabineer ballpoint pen...Writes in 4 different colors : black, blue, red, green. image...Perfect for trade show, sales visits and everyday office use. Eco friendly, materials are 100% recyclable...Length 5.5" approximately. Case Pack=500 Pieces Case Weight=35 lbs Case Size Approximately 16" x 10" x 9"